New improved SDS m ets in Union 9/21 at 7:30PM good vibes this year Don't get the idea that I'm one of these goddam radicals. Don't get the idea that I'm knocking the American system. 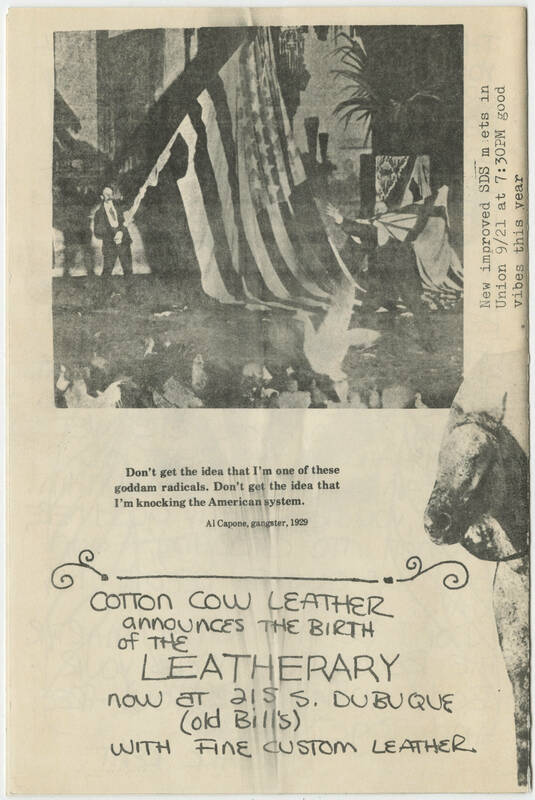 Al Capone, gangster, 1929 Cotton Cow Leather announces the birth of the Leatherary now at 215 S. Dubuque (old Bill's) with fine custom leather.